Ayo Fayose, candidate of Nigeria's ruling Party, People Democratic Party, PDP, has won Ekiti State governorship election, held on June 21, 2014, according to results released by Independent Electoral Commission, INEC. Channel Television reported that Ayo Fayose of PDP scored 203,090; Kayode Fayemi of APC scored 120, 433, and Bamidele Michael Opeyemi of LP scored 18,135. It is the second time the winner will be winning the state's governorship election. He was declared a loser by a court judgment the first he won in favor of the incumbent governor, Kayode Fayemi, who had lost the battle for re-election. Fayemi became governor through a court declaration that Fayose's earlier election had question marks. It is too early to say what Fayemi and his party's reaction will be to the announced result. Will the loser and his party be heading to the court again or will they abide by the INEC's declared result? Former interim chairman of the All Progressive Party, Bola Tinubu, had threatened fire and brimstone should his party lose the election, which prompted the American ambassador to Nigeria's advise for a peaceful electoral process. Ayo Fayose, candidate of Nigeria's ruling Party, People Democratic Party, PDP, has won Ekiti State governorship election, held on June 21, 2014, according to results released by Independent National Electoral Commission, INEC. Channel Television reported that Ayo Fayose of PDP scored 203,090; Kayode Fayemi of APC scored 120, 433, and Bamidele Michael Opeyemi of LP scored 18,135. It is the second time the winner will be winning the state's governorship election. He was declared a loser by a court judgment the first he won in favor of the incumbent governor, Kayode Fayemi, who had lost the battle for re-election. 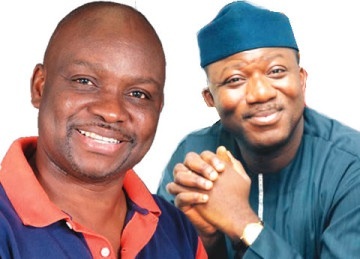 News monitored on one of Nigeria's news websites showed that Fayemi had congratulated Fayose in a broadcast to the people of Ekiti State, a show of magnanimity rarely exhibited by Nigerian politicians or associated with Nigeria's 'do or die' politics.